How Much Does YouTuber Get Paid Per 1000 Views? YouTube is the second most searched engine of the world. YouTube stardom is the phenomenon trending like hell nowadays. The number of smartphones rose from 42 million to 240 million and also the prices of cheapest smartphones dipped from Rs 4,950 to Rs 2,970. 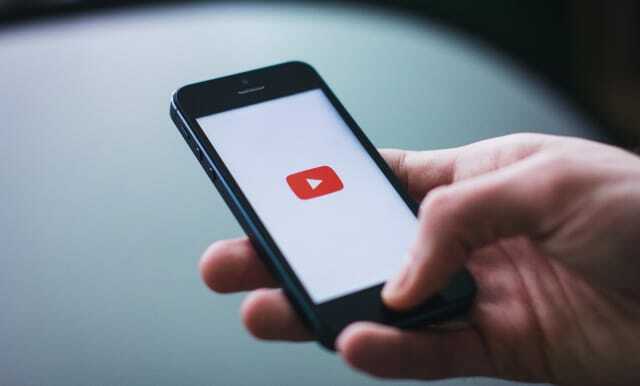 This surge in smartphone sales and sharp growth in internet connection worked as a catalyst to promote YouTube stardom. People not only think about getting fame by uploading videos on YouTube but they also think about earning money on YouTube. Let us have a look at how this works. How can you earn money on YouTube? A number of clicks on the ad shown during the video. A number of ad views during the video for at least 30 seconds or half the length of an ad. For this to happen, you need to enable monetization. So first let's have a look on how to enable YouTube video monetization. Monetization means allowing YouTube to place ads in your video. You can monetize your video while uploading by clicking the monetization tab and checking the Monetization with Ads box. But if you have already uploaded your video then open video manager and click “$” sign for the video you want to monetize. However, there are monetization criteria provided by YouTube. What is eligibility criteria for monetizing a video? Your content is advertiser-friendly. It involves having no inappropriate or mature content in video stream and thumbnail. If the video does contain inappropriate content, then it must be newsworthy or entertaining. You should have its copyright. You must agree that you create the content you are uploading. You should be able to provide documentation proving you own commercial rights to all content. You should agree to Terms and Conditions of YouTube. How does YouTube advertising works? YouTube advertising is managed in the Adwords platform. An advertiser chooses ads on a Cost Per Click (CPC) or Cost Per View (CPV) model. Cost Per Click is when an advertiser pays money based on clicks. If someone clicks on the ad, then the advertiser is charged the amount set for that ad by him for every click. Cost Per View is when an advertiser pays money based on views. View count is considered only if someone watches an Ad for at least 30 seconds or half of the ad. You can click on that ad many times, but it wouldn’t charge the advertiser more as they are paying for the view and not for the click. After monetizing a video, how does earning work? YouTube would pay you only if it earns. If someone watches ads for at least 30 seconds and click on it, then YouTube makes money on that particular ad click. On an average, YouTube pays Rs 68 for 1000 views. If your video is more than 5 minutes, then you earn Rs 136 or Rs 224 on 1000 views. The minimum amount you get for 1000 views is Rs 68, whereas the price can also go as high as Rs 1904 which is very rare. So you need to make sure that your videos are interesting enough for people to watch for at least 30 seconds or you will earn nothing.